Our foam sheet can be cut to any size required. The foam sheets are sold in 9" x 96" lots. 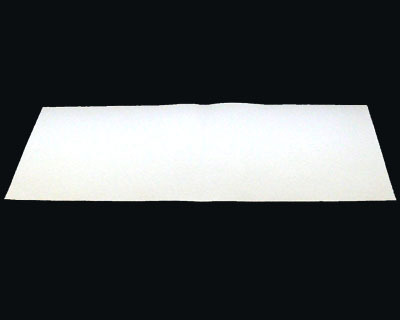 This foam is natural colored (no dye additives) and is available in two thicknesses, 1/8 or 3/16 inch. If you are looking for our hypoallergenic replacement tape that goes with this product you may find it here. 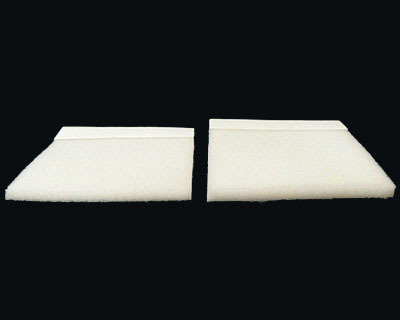 Regular price: $49.00 for a 9" x 96" foam sheet. Our foam sheet can be cut to any size required. This foam is natural colored (no dye additives) and is available in two thicknesses, 1/8 or 3/16 inch. If you are looking for our hypoallergenic replacement tape that goes with this product you may find it here.